Manufacturing shrank by 0.9 per cent, while UK growth in the last three months of 2018 fell to 0.2 per cent from 0.6 per cent in the quarter before DARREN STAPLES/REUTERSThe economy slowed almost to a halt at the end of last year as household and state spending kept growth afloat against a collapse in trade, manufacturing and business investment, according to official figures. In 2018, Britain grew by 1.4 per cent, down from 1.8 per cent in 2017, making it the equal weakest year since 2009. Growth in the final three months slipped to 0.2 per cent from 0.6 per cent in the previous quarter, and the slowdown worsened as the year drew to a close. Between November and December, the economy shrank by 0.4 per cent. The figures from the Office for National Statistics paint a picture of a declining economy heavily reliant on government and household spending. 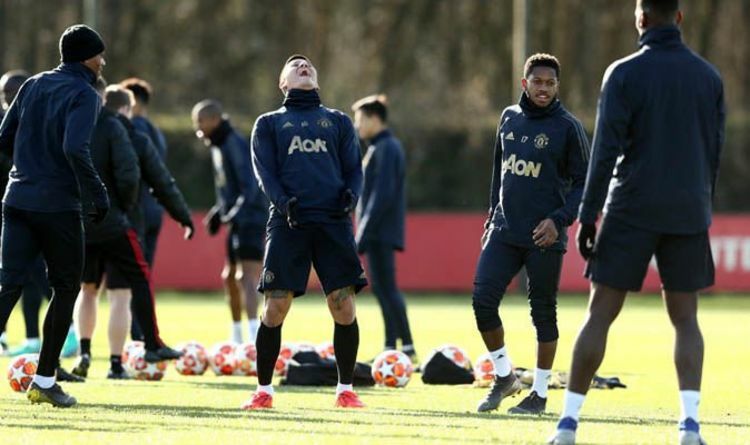 Man Utd injury boost as duo train ahead of PSG tie – did you see what Pogba was wearing?